Bald patches and receding hair line are the most horrifying nightmares for many of us. Improper nutrition, stress, bad lifestyle choices, and underlying medical conditions are few factors that shrink and weaken the hair follicles. This ultimately leads to hair loss, hair thinning and bald patches on the scalp. 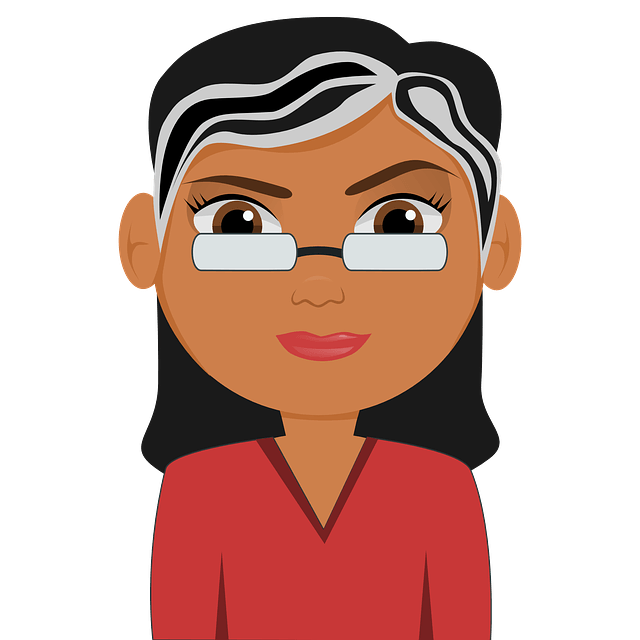 Baldness can be either female pattern baldness (hair loss across the centers of the scalp) or male pattern baldness (receding hair line around the crown area). Does Onion Work For Baldness? Sulfur present in onion possesses antibacterial and antifungal properties which help to treat the scalp infections. The quercetin present in it is an antioxidant which helps in fighting off the free radicals and prevents premature graying of the hair. The Methylsulfonylmethane helps in the formation of keratin which in turn encourages hair growth. It contains niacin which strengthens hair follicles. Biotin present in it helps to treat damaged hair and prevents split ends. It contains glycoside which enhances blood circulation and oxygen supply to the hair follicles. It contains many trace elements like potassium, phosphorous, iron, iodine and sulfur which nourish the scalp and hair follicles. How to Use Onion to Get Rid of Baldness? Onions can be used in several forms to treat baldness and stop hair loss. We have listed them below with a detailed description. Peel, blend and extract juice from a medium sized onion. Massage the onion juice onto the scalp, especially on bald patches. Cover your head with a warm towel and leave it on for 15 minutes. Rinse off with mild shampoo and lukewarm water. Repeat the process twice in a week to achieve satisfying results. Being an emollient honey moisturizes the hair shafts by sealing the moisture in it. It also cleanses the scalp and unclogs the hair follicles. Combine 1/4 cup of freshly extracted onion juice and 1 tablespoon of honey. Mix well and apply the mixture onto the scalp. Leave the application for at least 30 minutes. Cover your head with warm towel and leave it on overnight. Rinse off the application with mild shampoo and water. Castor oil improves blood circulation and balances the pH levels. The anti-oxidants present in it support keratin production and prevents premature graying of the hair. This method is effective for people who have dry scalp. Peel, grate and extract juice of 1 medium sized onion. Combine onion juice and 1 tablespoon of castor oil. Mix well until the two ingredients incorporate well. Using a cotton ball, apply the solution on the scalp. For added benefits: you can add 1 tablespoon of yeast and 2 tablespoons of hot water. The acidic property of lemon cleanses the impurities present on the scalp. It strengthens the hair follicles and combats any scalp infections. Mix equal amounts of onion juice, lemon juice and carrot juice. Now, add 1 tablespoon of yeast and 2 tablespoons of hot water. Mix well until the ingredients get incorporated. Let the mask sit aside for 10 minutes. Apply the mixture on the hair roots and gently massage in circular motions. Leave it on for an hour and rinse off with water. The probiotics present in yogurt deal with the bad bacteria present on the scalp. This combination is effective in treating both male pattern baldness and female pattern baldness. Combine juice of 1 onion, 2 – 3 tablespoons of yogurt, 1 tablespoon each of honey, olive oil and sour cream. Mix the ingredients well for few minutes. Leave the mask on for 40 – 50 minutes. When garlic is mixed with onion, it stimulates the blood flow to the scalp, nourish the hair and strengthen the hair follicles. It also provides relief from itchiness and dryness. Peel and grate 4 – 5 garlic cloves. Combine juice of 1 onion, grated garlic, 2 tablespoons of brandy, and 1 egg yolk. Whisk the ingredients well until they get incorporated. Apply the mask on the scalp thoroughly. Using your fingertips, massage in circular motions. Leave it on for 30 minutes and rinse off with lukewarm water. Sea salt exfoliates the impurities from the scalp, strengthens hair follicles, prevents baldness and promotes hair growth. Dissolve 1 tablespoon of sea salt in some hot water. Combine juice of 1 onion, 2 tablespoons of honey and 1 tablespoon of brandy and sea salt solution. Massage the solution on the scalp, especially on the bald patches. Rinse off with organic shampoo and water. This process provides enough nutrients to hair follicles that have been blocked by DTH (dihydrotestosterone) which is one of the reason for baldness. This process is effective for both hair loss and hair growth. In a bowl, add juice of an onion, 1 egg yolk, 2 tablespoons of honey and 3 tablespoons of lemon juice. Stir well until the ingredients get incorporated. Apply the mixture onto the scalp, especially on bald patches. Cover your head with warm towel and leave it on for an hour. The mono-saturated fatty acids present in coconut oil deal with dryness, dandruff and scalp infections causing hair fall. This process is effective in treating frontal baldness. Combine 1 tablespoon of onion juice and 2 tablespoons of coconut oil. Apply the mixture on the scalp and along the hair strands. 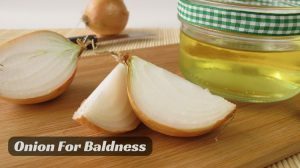 Do you want to use onion for baldness but hate its smell? Then this process is for you. The alcohol masks the strong onion smell and ensures it is not left behind after rinsing off. Chop an onion into small pieces and add them into a glass jar. Add 50ml of brandy into the glass jar and stir well. Close the lid and leave the mixture overnight. In the morning, strain the mixture and apply the solution on the scalp. Leave it on for few minutes. Alternatively, you can use rum or gin instead of brandy. Note: The alcohol may dry out the scalp, people having dry scalp and dandruff should avoid this process. People who have sensitive skin, then it is better to avoid onion as it can cause skin irritation, itching, burning sensation, or dermatitis. We always recommend to patch test before trying out any of the above remedies. If you observe any negative reaction, then avoid using it further. Sometimes, onion juice can leave a strong smell behind. If you want to avoid it, add some lemon juice into the bath water used for washing your hair. Avoid using hair styling products until you control the hair loss. Avoid using hair care products that contain harsh chemicals like sulfate, paraben and others. It is better to avoid combing your hair while it is wet, as it can lead to breakage. Wash your hair 3 – 4 times in a week as accumulated impurities on the scalp can lead to scalp infections. Drink plenty of water to flush out the toxins and rehydrate the scalp. Eat a nutrition diet rich in biotin, vitamin C, iron, phosphorous, potassium, minerals and protein. Did you find the information in this article helpful? Do you have any other method that works better than this? Share it with us in the comment section below. Iam using sliced onions by rubbing them on the scalp. Hair not growing but already 6 months. Maybe of my age at 52?